The other day I was surprised to see a flock of about 20 American Robins feeding on the hairy red fruits of the Staghorn Sumac that was growing behind our shopping center. Because the fruits are dry, have little flesh, no fat or sugar they are usually left untouched until late winter. In spring and summer we are used to seeing them foraging on the ground, running, then suddenly stopping to listen and pouncing to extract an earthworm. 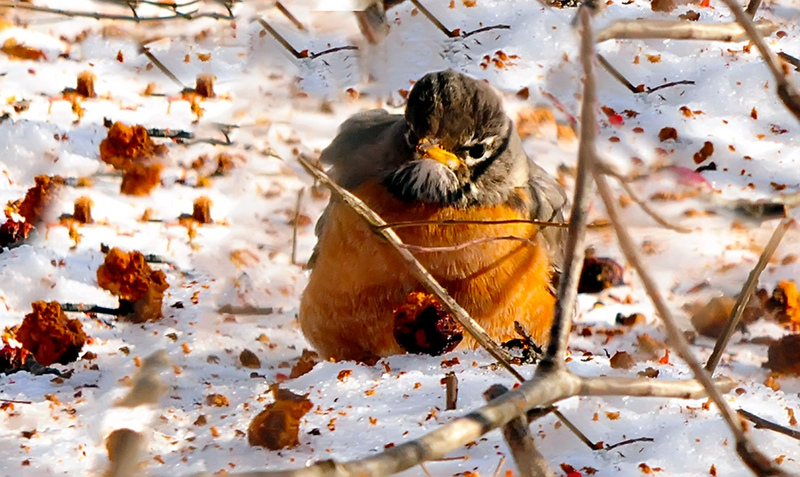 In the winter when the ground is frozen they switch to fruit on the ground or still hanging in the trees. 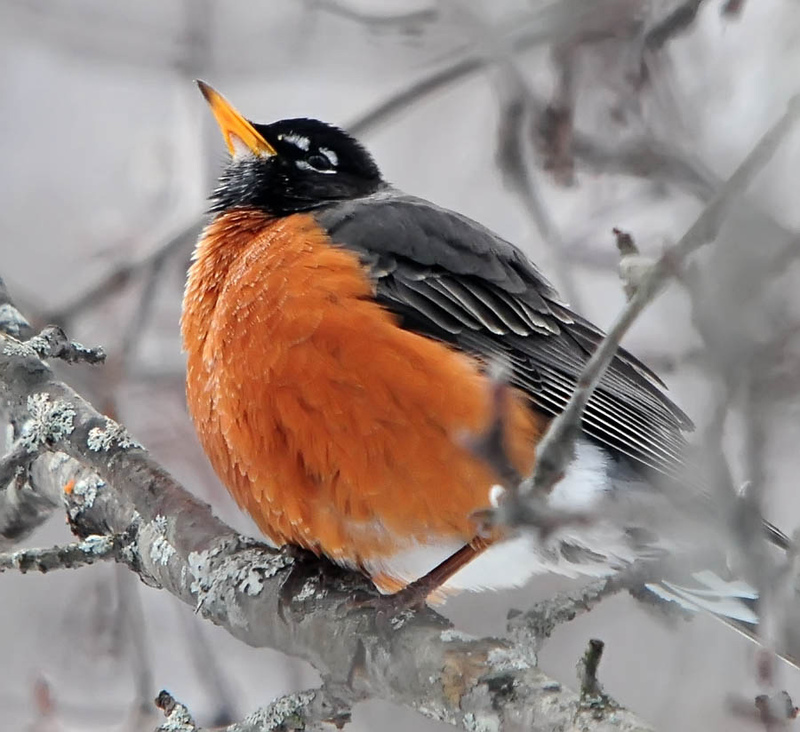 The Robins we see here in the winter probably probably started their fall in Canada and found the Northeast temperate enough to stay through the winter, whereas those that summer with us have shifted southward. So these are probably the same Robins we see in early spring when the snow is receding, in transient large flocks foraging among the old grasses and leaves in our backyards and fields. 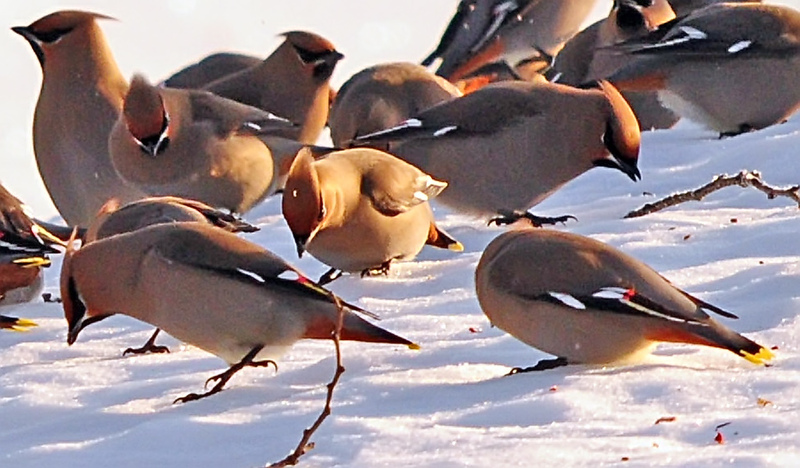 Many birds that are solitary during the breeding season often flock together in winter, when food sources are rare and much more sporadic. Even through the bounty must be shared with a larger number it still pays off to have more eyes scouting for them. 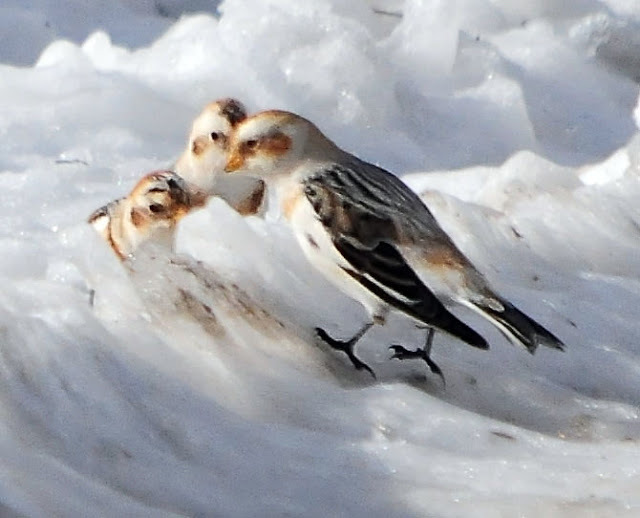 Snow Buntings are highly territorial in the summer, jealously defending their nesting sites in the tundra, but during the winter they often travel in mixed flocks with Horned Larks. 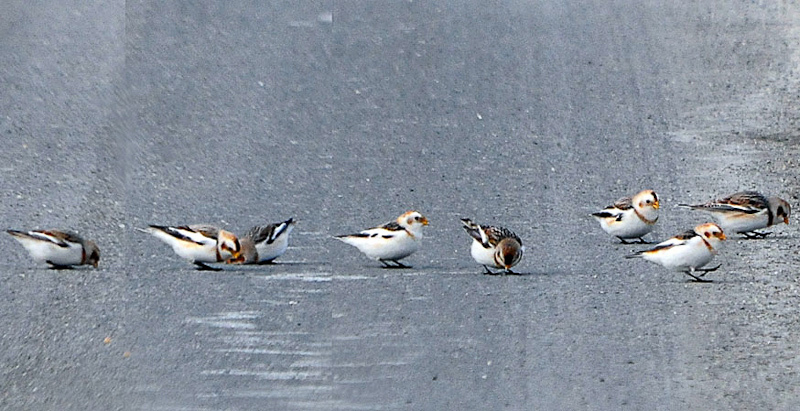 They are most easily found along plowed roadsides where they forage for grass seeds and grains. 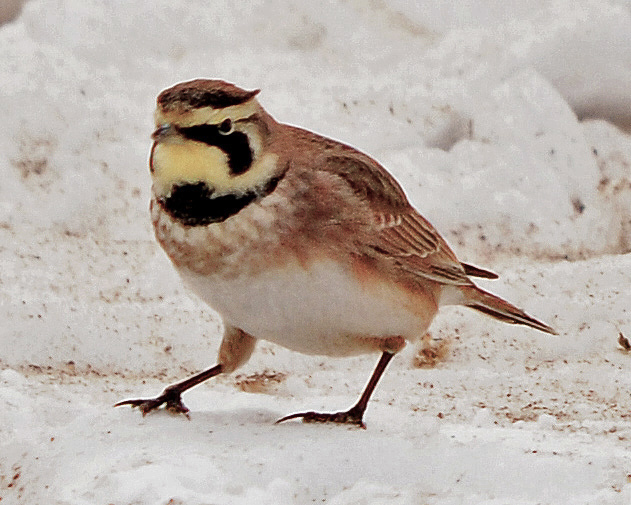 Both the Horned Larks and Snow Buntings roost in scrapes in the ground or burrow into the snow for extra protection against the cold. 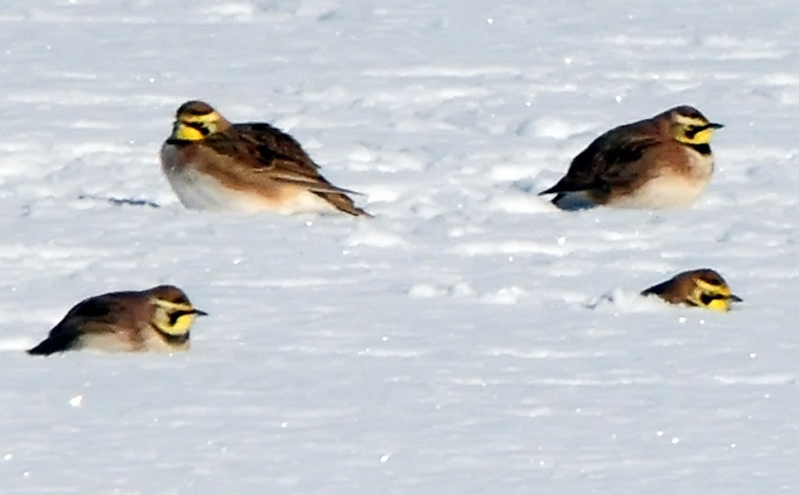 During a storm they may let themselves be snowed in. 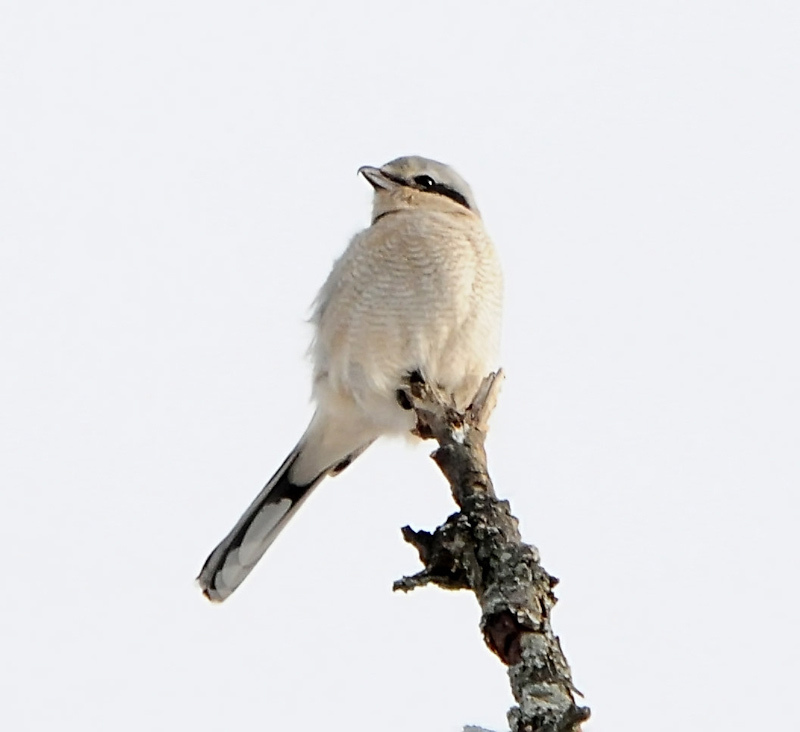 In the winter Northern Shrikes, like this first year juvenile, migrate south from their home in the tiga/tundra to southern Canada and the northern United States where prey may be more available. Sitting high in a tall tree they look innocuous, watching and scouting for any small movement in the trees or on the ground, when they are down in a flash to grab a bird or small mammal, revealing their true nature and justifying their Latin name Lanius excubitor "Butcher Bird". 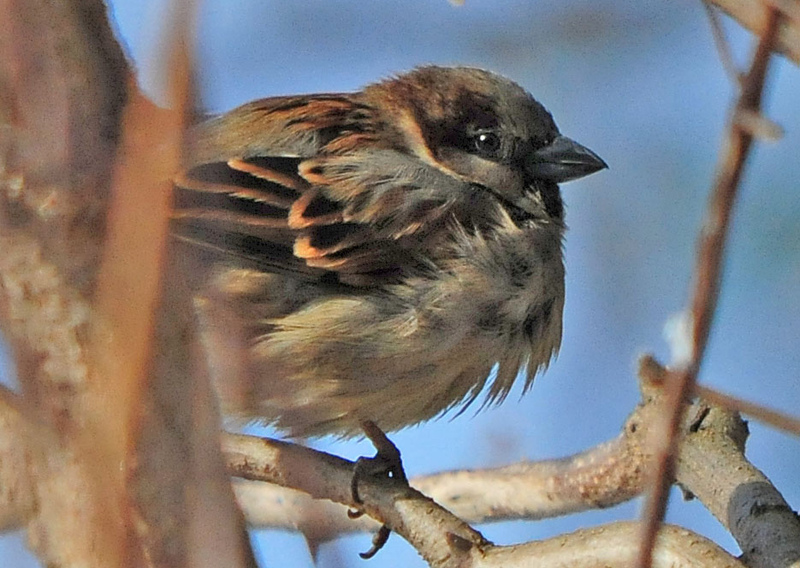 House Sparrow puffed up against the cold trying to keep warm. Bohemian Waxwings are true nomads, roaming in flocks and descending when finding berry or fruit bearing trees. They are voracious eaters and only leave when all the fruits have been consumed. They are so unpredictable that It's always a special thrill to see them. They cheer me up with their jaunty masks and feathered caps, the red wax tips on their wings and the red untertail coverts. 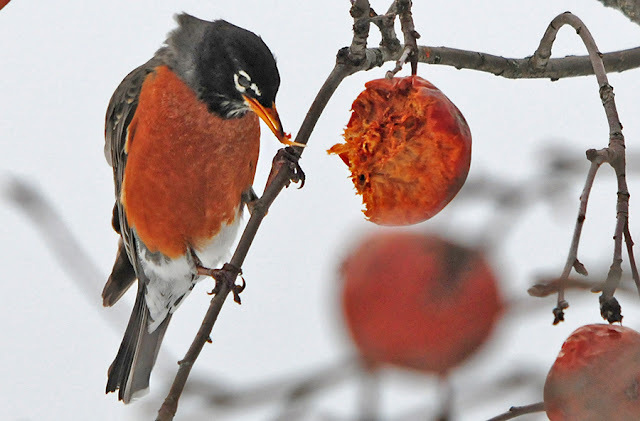 Here they are feeding on fruit fallen off a crap apple tree. Their rakish looks make me smile. 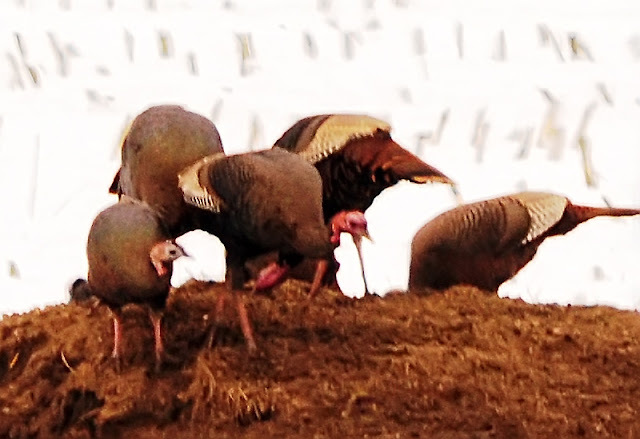 Homely looking Wild Turkeys foraging on a manure pile in a snowy field. 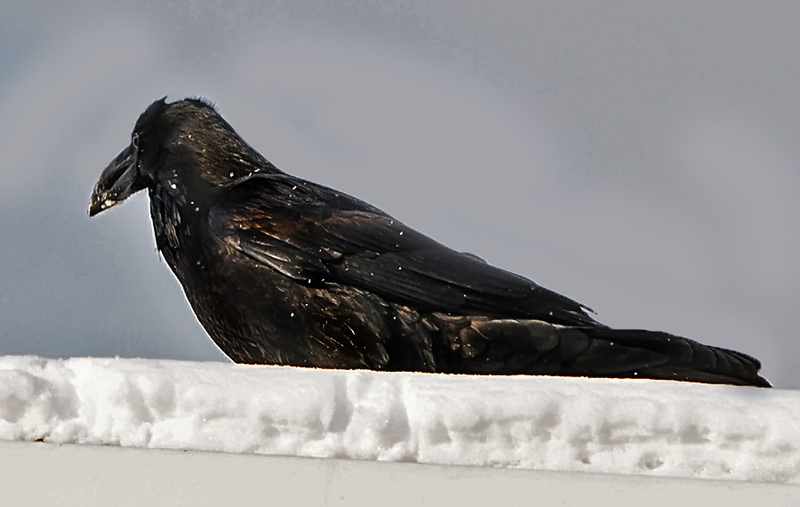 I first saw this Common Raven on the flat roof of parking garage. 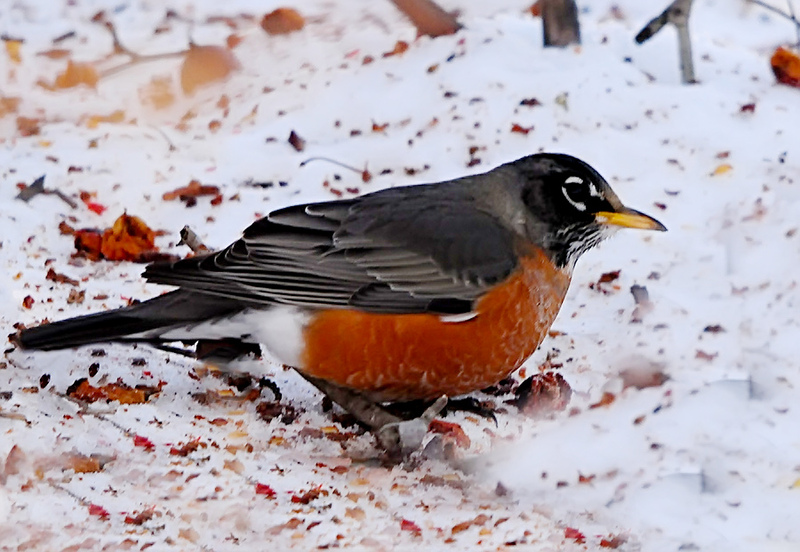 It then flew across the parking lot and landed on a mound of snow at the edge of the lot where I followed it in my car. 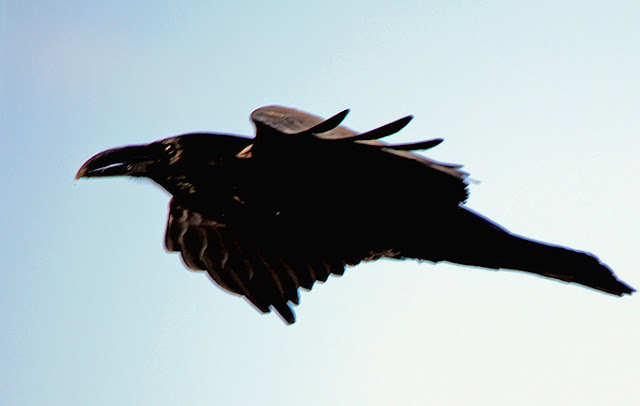 I was able to take a couple more photos before it flew off heading east into the morning sky. 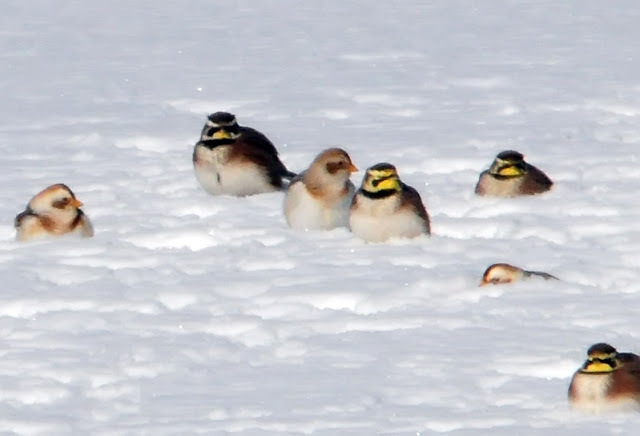 oh such wonderful photographs and amazing to learn about the birds settling down in the snow of all places to keep warm. You'd think their feet would freeze up, amazing. Great post, Hilke! Wonderful shots of all the birds. 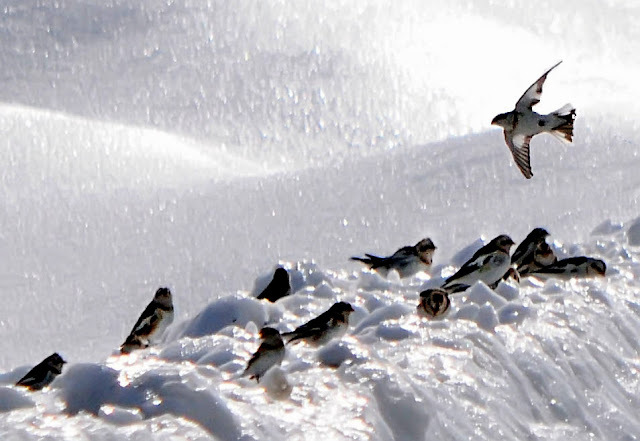 Happy Birding! Thank you, Eileen! I wish you a very birdie 2013! 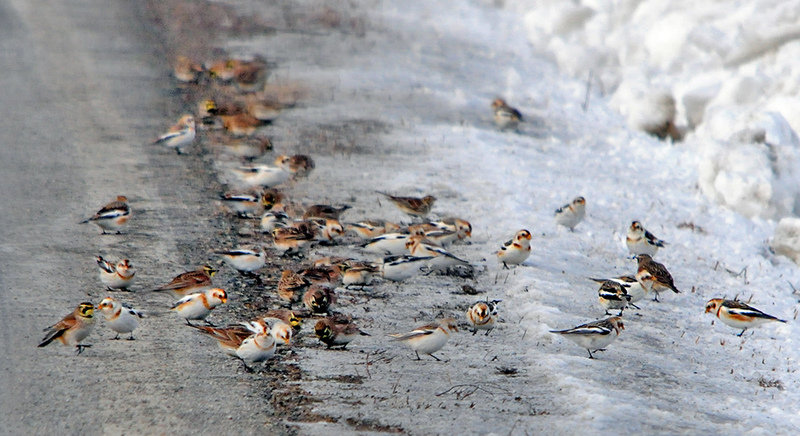 It's pretty sweet to see that many Snow Buntings together, and these other winter flocks are awesome too! Thank you, Laurence! A nice comment from you always makes me feel good! 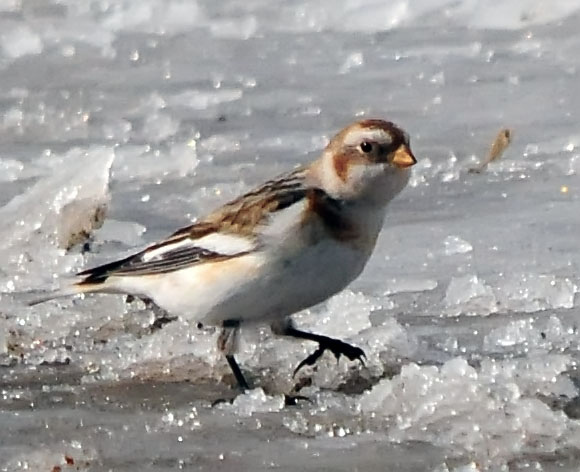 Hilke, you're torturing me with those images of Snow Buntings...I continue to dip on them while others around me keep finding them. 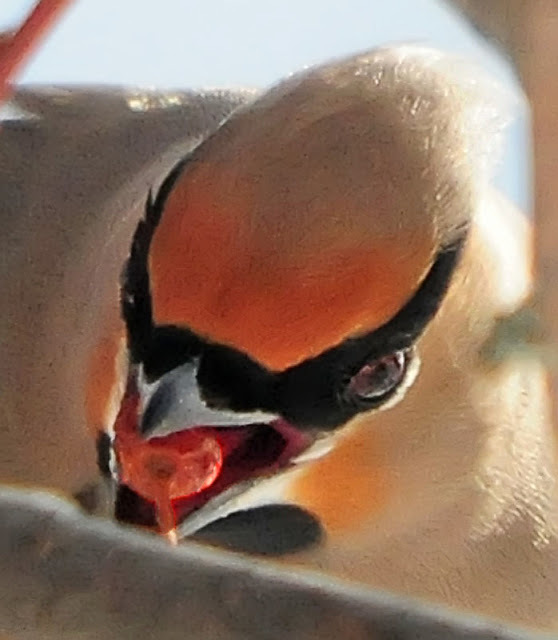 Cool images of those Bohemian Waxwings too. I haven't seen them in a few years. Beautiful photos Hilke, of some very special winter birds, Love the Snow Buntings and Bohemian Waxwings and the cool Raven. What camera gear do you use? Thanks, Lillian! I use a Nikon 300D with a Nikon 70-200 mm f/2.8 VR zoom lens and a 2x teleconverter. Hilke, a terrific post filled with stunning photographs! 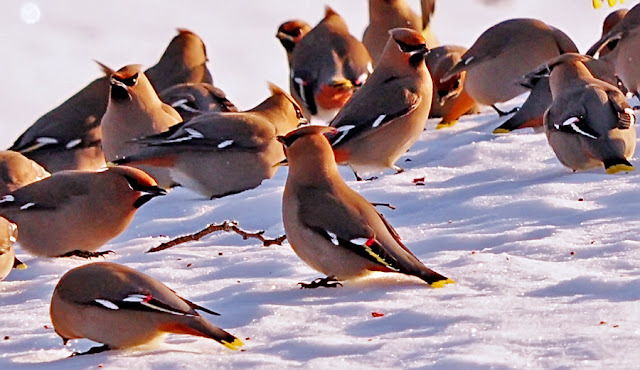 My, you certainly see some beautiful birds over the winter season. 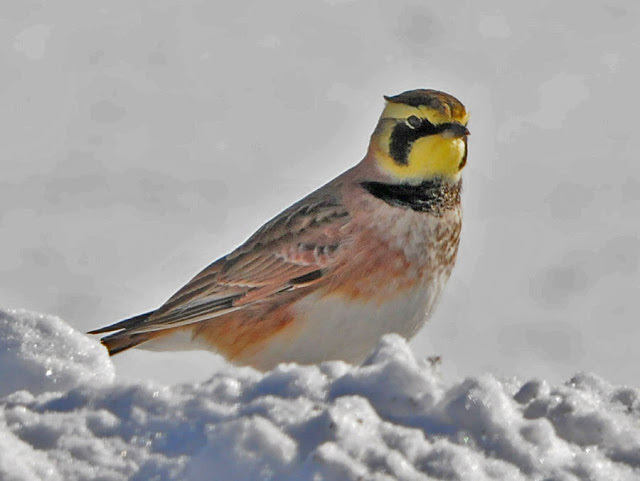 I love the images of the pretty Snow Buntings and Horned larks burrowing. 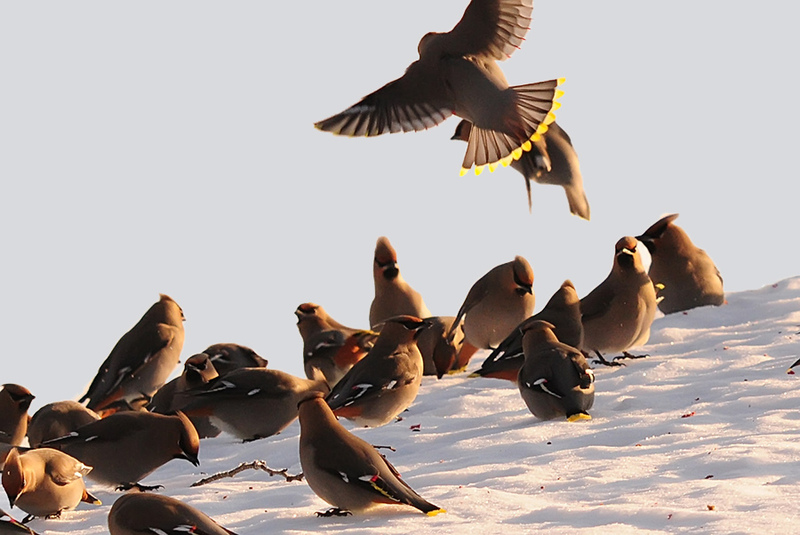 Very cool looking Bohemian Waxwings. I would love to see all the birds you featured here in this wonderful post. Awesome! You are so generous, Julie! Congrats to you for four of your 2012 posts winning the distinction as being among the 20 most popular posts on BiF. I am great admirer of you photography. You are so talented! Thanks, Josh. I used to worry about Robins getting caught in winter weather, thinking they could only subsist on invertebrates. It was a relief to find out about they could also live on fruit. Hilke! 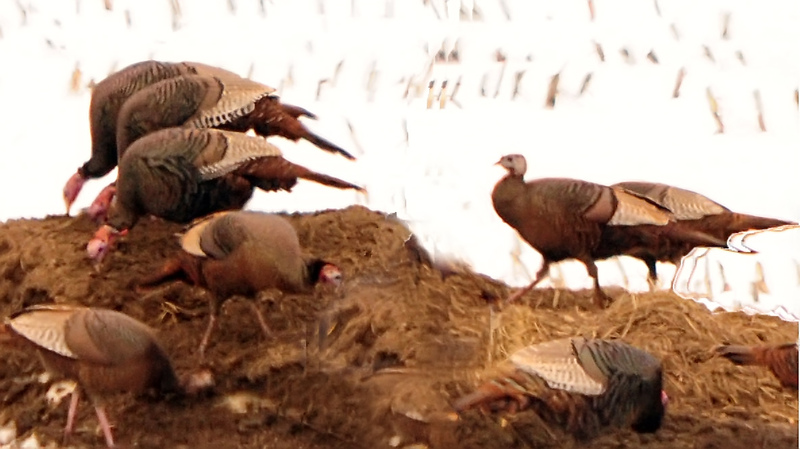 What wonderful pictures of some of the most sought after species in New England! 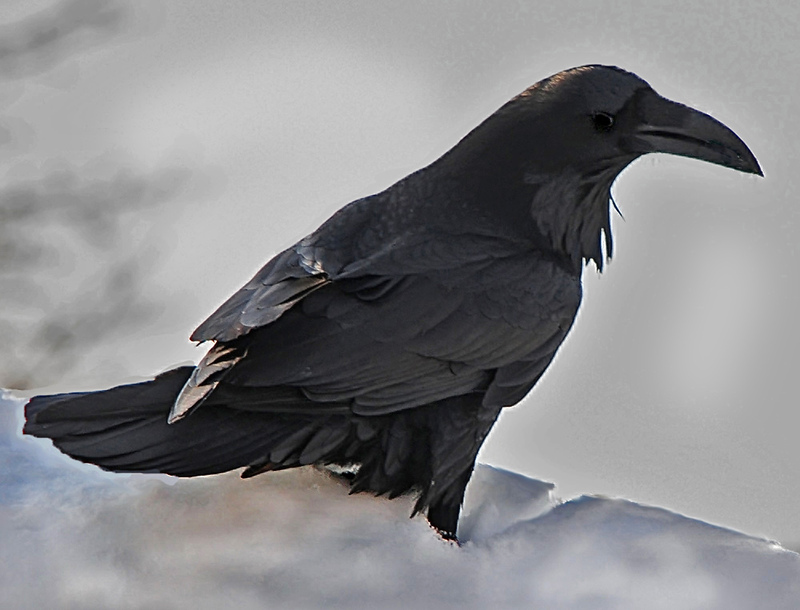 Love the beak on that raven and the buntings and larks snuggled into the snow! Somehow I missed out on seeing both snow buntings and Bohemian Waxwings when I lived back east! Kathie, thank you so much! 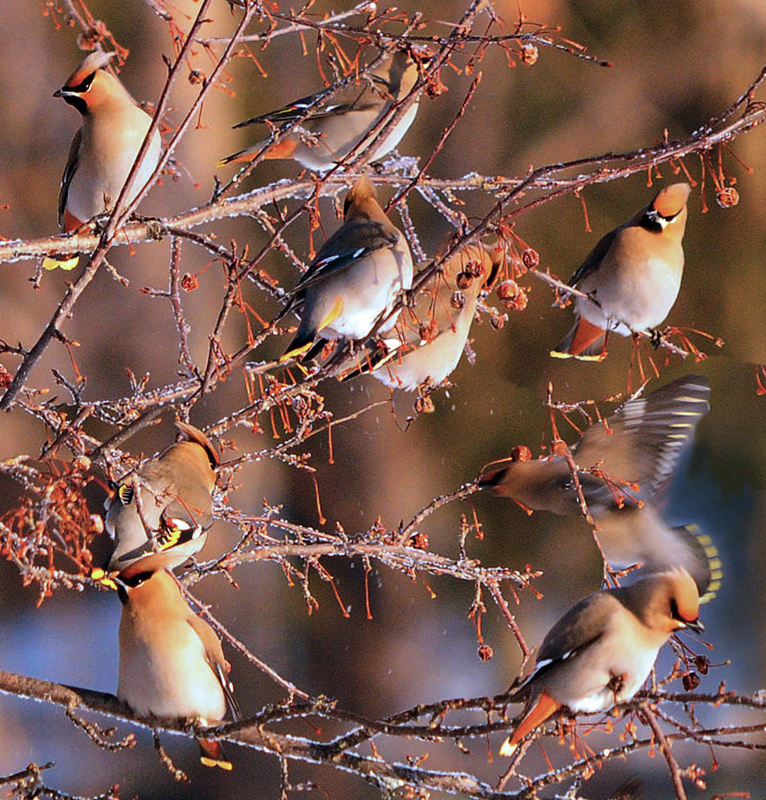 I was very fortunate in seeing all these birds and having my camera with me, which I don't always do because it's so large and heavy.